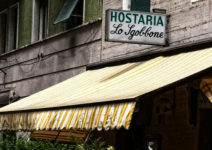 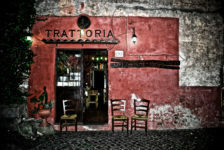 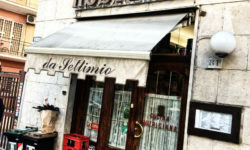 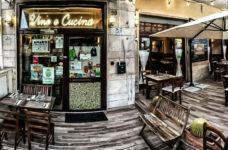 Home Rome Archive by category "Tavern Hosteria (osteria, trattoria, bettola)"
No-nonsense trattoria with red-checked tablecloths, serving hearty, home-style Roman cuisine. 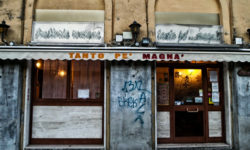 Cradle of Roman cuisine of simplicity and flavors are lost! 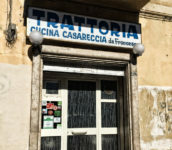 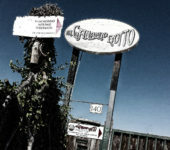 The Grind) is one of those historic Roman trattorias born after the war, of which it still retains the spirit of the founder: solid kitchen, wooden furniture, home-service. 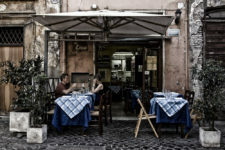 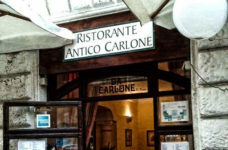 Casual, tucked-away trattoria for classic Roman pizza & pasta dishes, including its famed carbonara. 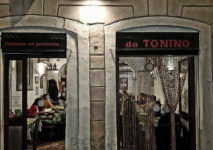 In the management of Trattoria Da Enzo, they are inspired by the principles set out by Ada Boni, the author of the “Taòlismano della Felicità (Talisman of Happiness)”, in his classic work on Roman cuisine.